Meritorious artists Tuyet Mai and Dinh Linh have kept the strains of traditional Vietnamese folk music alive by offering free classes at their Truc Mai music house in Ho Chi Minh City. 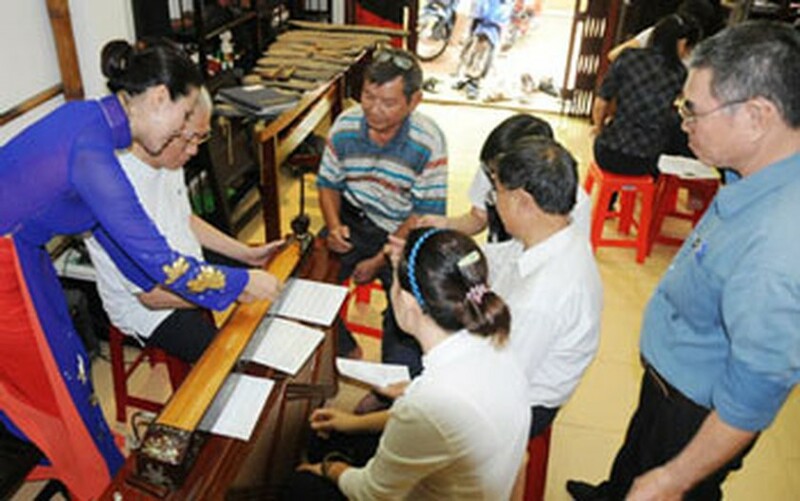 The artist couple gives visitors lessons in traditional Vietnamese music and knowledge of old folk musical instruments. The couple founded the Truc Mai traditional music house in 2004, not just to provide free classes to locals but also to foreigners. According to Tuyet Mai, who has performed often at the Bong Sen Theater in Ho Chi Minh City, the music classes have attracted many people from different ages and backgrounds, such as war veterans and students. Nguyen Hoang Le Trung, a 12th grader from Trung Vuong high school said he comes to the music class with his younger sister, grandfather and parents. He believes these classes provide a valuable traditional culture which is enriching as well as stimulating, he added. Visitors can contact Truc Mai Music House at 104-Pham Viet Chanh, Ward 19, Binh Thanh District or trucmai_music@yahoo.com.vn for further information.